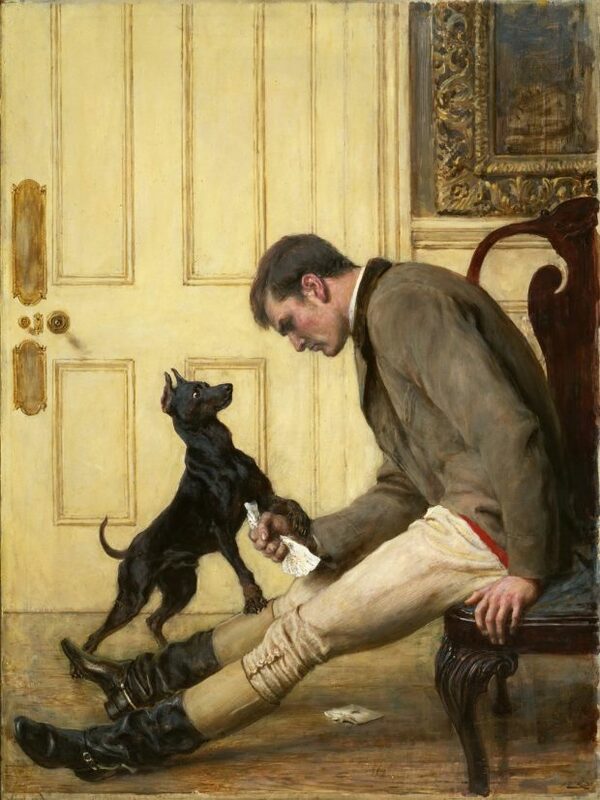 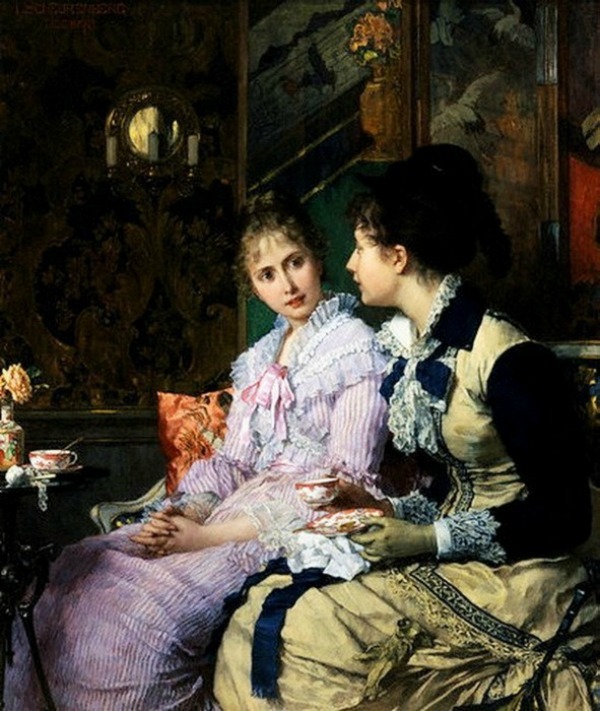 Ladies Taking Tea by Joseph Scheurenberg, n.d.
Jilted by Briton Riviere, 1887. 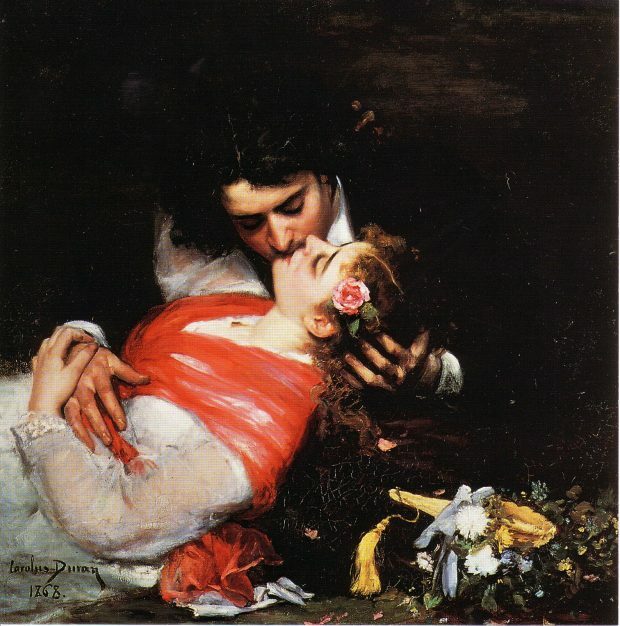 The Kiss by Carolus Duran, 1868. 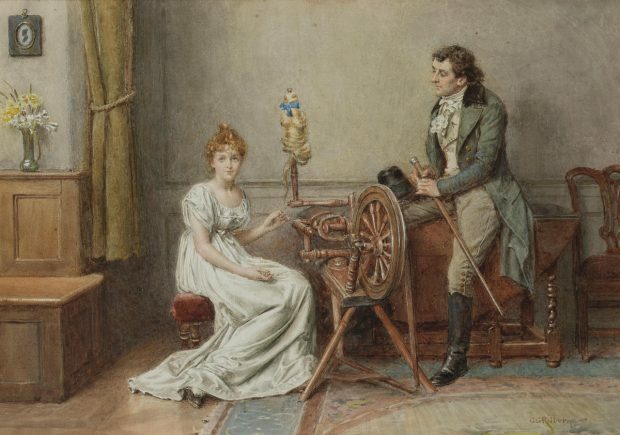 An Encounter at the Spinning Wheel by George Goodwin Kilburne , n.d. 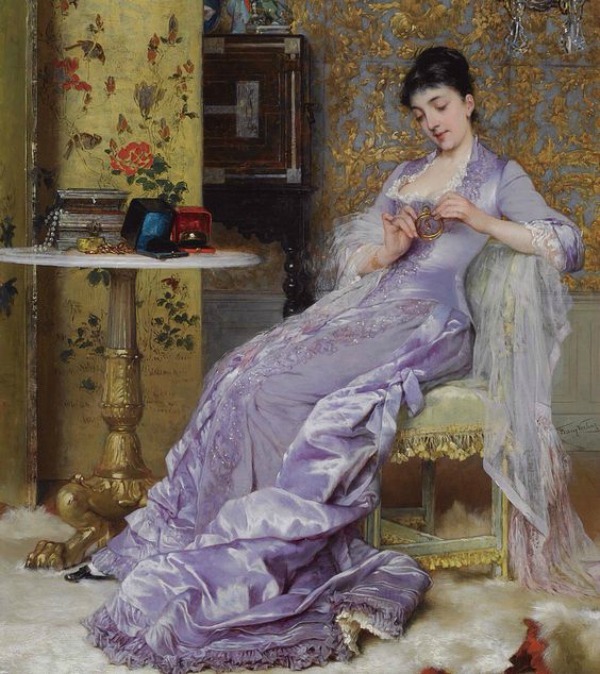 The New Bracelet by Frans Verhas, (1827-1897).